Be happy – not haunted – this half term at Kielder! Who cares about spooks this half term? There are more fun, outdoors wildlife activities at Kielder Water & Forest Park than you can shake a stick insect at. And not a ghost or ghoul to be seen! The award-winning Kielder Water & Forest Park contains England’s largest working forest and the largest man-made lake in Northern Europe. It is home to England’s largest red squirrel population and in 2009, ospreys returned to the area following an absence of more than 200 years in Northumberland. Living Wild at Kielder is all about bringing Kielder Water & Forest Park’s amazing wildlife to life for visitors and local people, helping them to enjoy, learn, share and immerse themselves in nature whilst also contributing to the long-term protection of the area’s special animals and plants. So, head off to Kielder this half term and prepare to be happy – not haunted! On Sunday 22 October and Thursday 26 October from 1pm to 4.30pm, you can take part in a unique Family Bushcrafts event at Kielder Castle. Build a shelter – your very own den in the woods, light a fire, cook a meal for yourself and even make something to take away to remember your day. Monday 23 October 10 am to 3pm is Water Day at Matthews Linn. Try your hand at canoeing or kayaking on the beautiful Kielder Water. On Friday 27 October 1.30pm to 4.40pm you can enjoy a Forest Wildlife Safari. Discover the secret life of the forest and join professional naturalist, Bruce Ferguson, to uncover the tracks, trails and signs left behind by its secretive inhabitants from red squirrels and deer to birds and insects Time: 1:30pm to 4:30pm. Or why not Build a Habitat Home? Venture into a special part of Kielder Waterside’s forest on a tour led journey with our wildlife expert to learn about the native wildlife who choose to make Kielder their home. Discover which wildlife lives where and how you can help provide them with a home. Build a home according to your interests; a choice of a Bat Box, Bird Box or Bug Hotel. The activity will run in all weathers except heavy winds. And of course, every single day here throughout the year - not just in school holidays - visitors can enjoy fantastic and unique wildlife experiences for free. For instance, a wonderful, new, wildlife hide has recently been designed and built on the shores of Kielder’s Bakethin Nature Reserve. Now all manner of flora, fauna and feathered creatures can be spied from its vast, clear viewing areas. It’s an incredibly peaceful place to be. Ever tried geocaching? It’s a great hi-tech treasure hunt which excites all ages and you can make it simple or as tricky as you want. Wild at Kielder geocaches hidden around the Park’s lovely “Wilder Walk” route allow you to enjoy fabulous scenery, learn more about wildlife and discover hidden treasure. It won’t cost you a thing apart from tons of fresh air and a new zest for exploration! Living Wild at Kielder has all been made possible by National Lottery players and a grant from the Heritage Lottery Fund (HLF). It is delivered by Kielder Water & Forest Park Development Trust, Northumberland Wildlife Trust, Northumbrian Water, Forestry Commission and the Environment Agency, with support from Newcastle University and Northumberland National Park Authority. Forest Wildlife Safari: Cost: £15 per person or £30 for a family (up to four) Book: Call 01388 529 154 or visit www.natureholiday.co.uk (booking essential). Living Wild at Kielder’ has been made possible by National Lottery players and a grant from the Heritage Lottery Fund (HLF). It is a partnership project delivered by Kielder Water & Forest Park Development Trust, which includes: Northumberland Wildlife Trust, Northumbrian Water, Forestry Commission England and the Environment Agency, with support from Newcastle University and Northumberland National Park Authority. 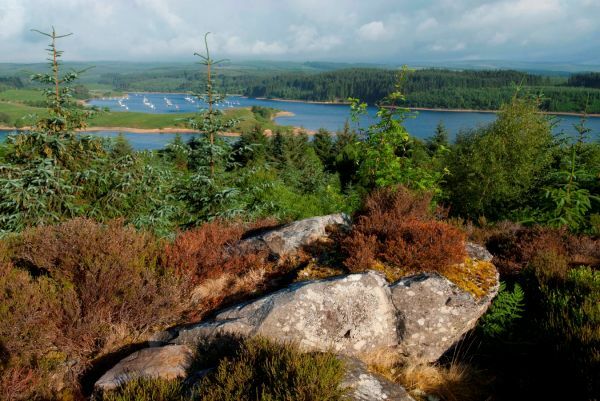 The project’s aim is to bring Kielder Water & Forest Park’s amazing wildlife to life for visitors and residents, helping them enjoy, learn, share and immerse themselves in nature whilst also contributing to the long-term protection of the area’s special animals and plants. 2013, and the most tranquil place in England by the Campaign to Protect Rural England. Together with Northumberland National Park, it was granted gold tier Dark Sky Park status in December 2013. Kielder Water & Forest Park Development Trust is a registered charity working to develop the Park as an inspirational place. It aims to improve economic, social and environmental sustainability, provide public recreation and leisure facilities, and facilitate education in all aspects of the natural environment and advance art and architecture in the Park. The Trust works with the range of communities to benefit from these activities. Members, who have appointed directors/trustees to serve on the board, are Northumbrian Water, Forestry Commission, Calvert Trust Kielder, Northumberland County Council, Northumberland National Park Authority and Kielder Observatory Astronomical Society. Affiliate organisations that are not members but have a close working relationship with KWFPDT include Arts Council England, Northumberland Wildlife Trust, Environment Agency, The Scout Association and local decision-making bodies such as the parish councils.